Both structures have a 12.55-meter wide and 2.20-meter high superstructure with hollow box cross-section which rests on massive reinforced steel piers. 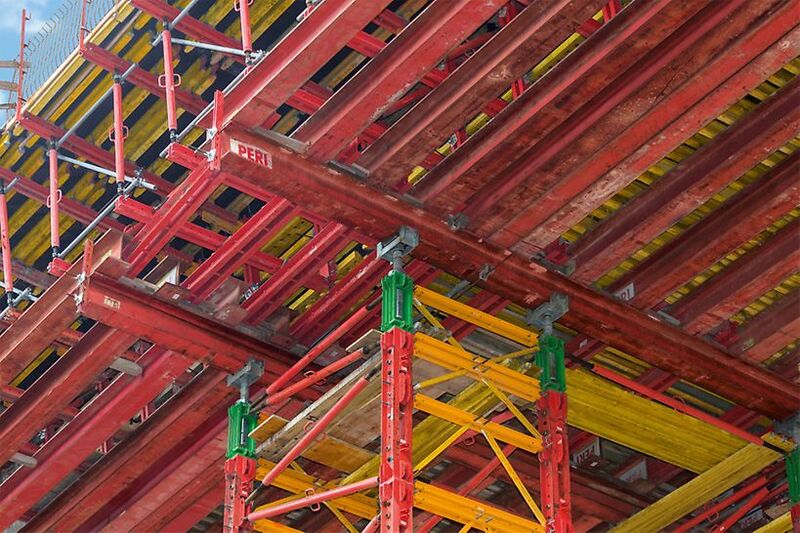 All formwork elements are pre-assembled per project by PERI formwork assemblers and are delivered ready for use. This reduces time-consuming assembly work at the site and helps to adhere to the tight time frame for construction and at the same time ensures high execution quality. PERI developed an excellent technical solution for our very challenging project. 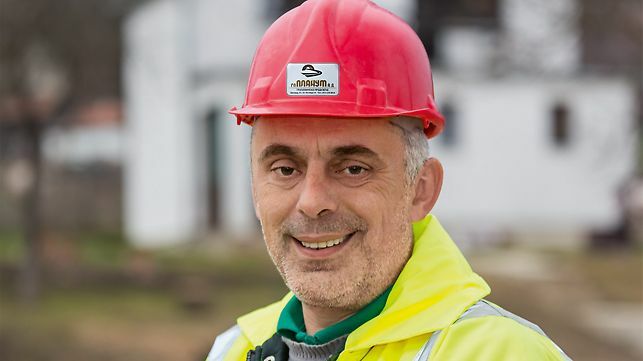 All systems used on the construction site were easy to use; in addition, PERI engineers provided us with regular and reliable on-site support. 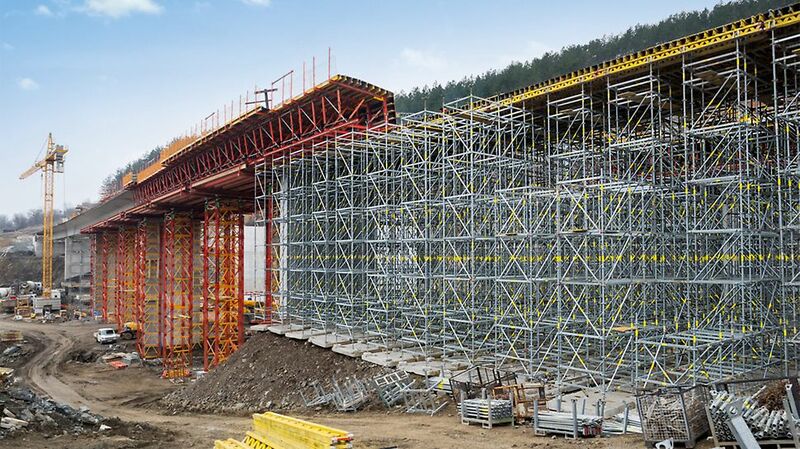 Two types of falsework are combined for the support system of the superstructure formwork. 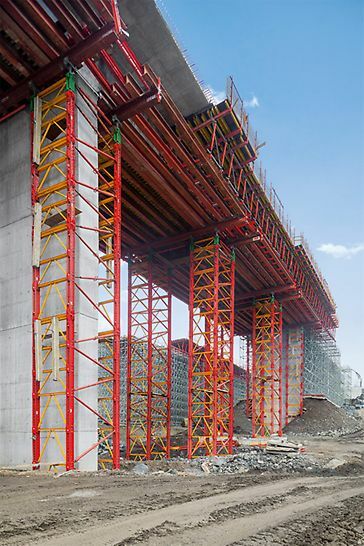 PERI UP shoring tower disks are used for the falsework of the standard segments. Load-optimized adjustment within the disks can be achieved for segment widths of 50 cm, 75 cm and 150 cm. 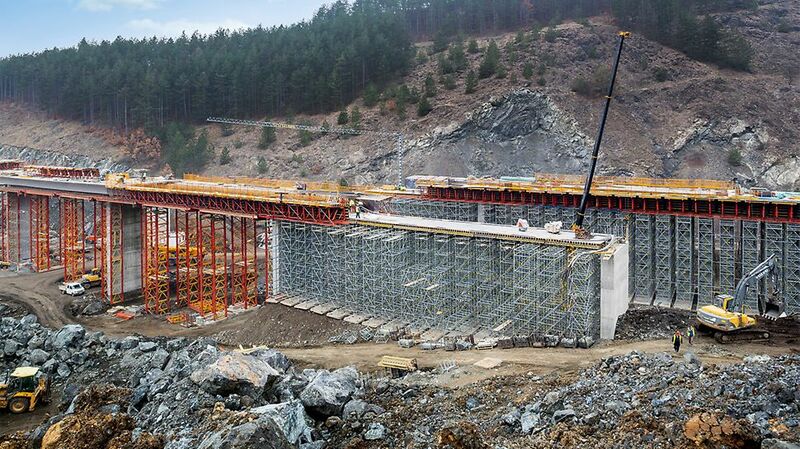 In the areas of rivers, roads to be kept open and ground with insufficient load-bearing capacity, heavy shoring is used for the bridge segments. VST heavy-duty shoring towers of the VARIOKIT engineering construction kit here transfer the high, concentrated loads selectively into the ground.